Here's a selection of memorabila sent in by many of our ex pupils and members of staff. Remember the school reports ! Maybe some of you would rather not share them however, Paul Cleary has kept his safe and sound all these years and has sent it in for you all to see. Also, on the last day when you left school it was traditional for the headmaster to write a reference for each pupil before wishing them bon voyage. Mr Leslie Bradshaw did just that for Paul. Click here to see Paul's report and reference. Ken Clark has also dug out his report and you can see his here. So how many of you kept your blazer badges? 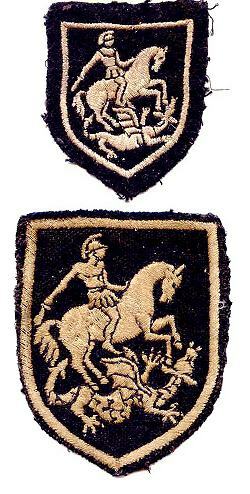 Well, Brian Tregilgas has kept his and here is a scan of both the blazer and cap badges. Brian said "When I left St.George's Sec Mod for the Wallasey Tech College in 1956 I took the badges from my cap and blazer and filed them away as souvenirs of my time at St.George's, somehow they have survived over the years, I don't know how ! Thanks Brian,considering they are 50 years old, they are in great condition. Does anyone out there still have a scarf? If so, then please send us a picture. 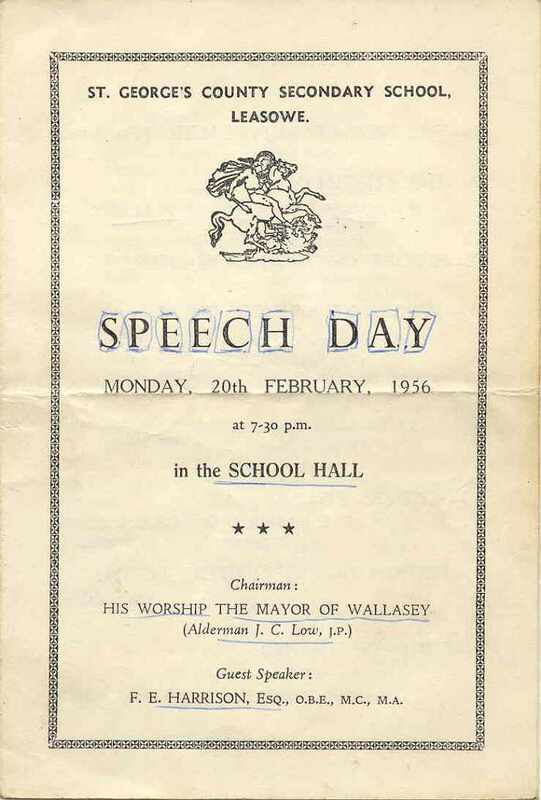 Sent in by Brian Tregilgas, we have two programmes from the 1956 and 1957 St Georges Speech Days. These were held in the 2nd and 3rd year after the official opening of St Georges School on Leasowe Road. These scans contain a number of pupil and staff names, so take a look through and see if your recognise anyone. Here we have a stunning find by Vera Codling. 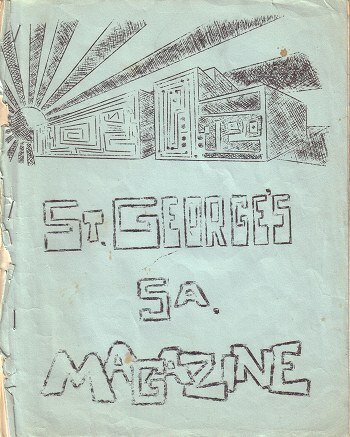 Vera has sent in a copy of the school magazine from 1966, which she has kept safe for almost 40 years. It has an article on the school heating system and a small plan of the school. To read a transcript of the magazine and see scans of the original, then click here.